You have probably heard a lot about Botox Cosmetic and Juvederm Filler. Your friends may have had it done. Botox Cosmetic is a very safe treatment to reduce or eliminate moderate to severe lines between your forehead and your eyes with no surgery and no recovery time. Years of squinting, frowning, or concentrating can be diminished. A short office visit is all it takes, and full effects are seen around two weeks after your visit. Juvederm is a gel filler used to instantly smooth away wrinkles around your mouth and nose. With just one treatment, you'll get smooth and natural-looking results that last up to a year. With Juvederm, results can be seen almost immediately. Dr. Malik has the ability to anesthetize the entire area, making the procedure virtually pain free. Dr. Shireen Malik has been specially trained and certified to offer Botox Cosmetic and Juvederm Filler. 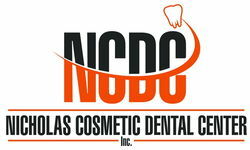 Why would you seek a dentist for your cosmetic treatments? If you are interested in receiving Botox Cosmetic or Juvederm Filler, we invite you to give us a call. We are happy to answer your questions!